Are you preparing for a family vacation? Every once in a while, we all need to wind down and relax, which goes for your family members and yourself. Or, on the other hand – you may want to embark on an adventure, visiting new and exciting places as a family. While family travel is a perfect opportunity for bonding – there are also a lot of practical things to consider. If you’re going to pack your family for a trip, let’s face it – you may need some help. Which is why we’ve prepared a few helpful reminders for packing with family for a vacation! Before we move onto more specific packing tips, let’s get one thing out of the way – your way of travel. Naturally, depending on your destination – flying may very well be your only choice. But if you’re going to a place that also makes driving an option, consider your choice well. On the one hand, flying will obviously be much faster and mostly hassle-free. But, especially when it comes to packing with family for a vacation, prepare to deal with significant expenses. 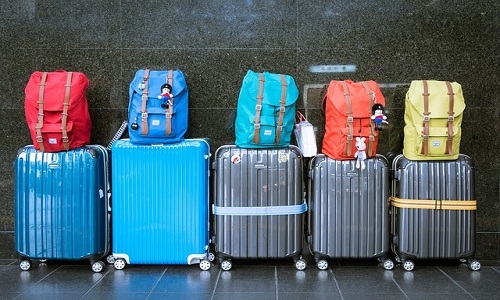 Even the luggage for a basic family of four may end up costing you quite a bit, if you can’t fit everything into carry-ons. On the other hand, going by car means having much more freedom while devising your packing list – and a road trip is always good fun. Plus, you stand to save quite a bit of money if you opt out of flying. Still, there are downsides. If you’re time-constrained, then this sort of road trip may not be something you’ve got the energy for. At the end of the day, you’re going on vacation to relax. So, a lengthy drive doesn’t exactly fit into that idea. Once you’ve decided whether you want to drive or fly, you can truly move onto packing with family for a vacation. As you might have realized already – planning everything well in advance will be the key here. Realistically, if you want to travel with kids and get some rest at the same time – you’ll need to think of every eventuality and prepare for it. So, where do you begin? Ideally – with a packing list. If you’ve traveled together as a family before, you’ve already got enough experience to know what everyone will need. But if the opposite is true, make sure to start preparing on time. Also, it may be a good idea to make two separate lists with your spouse. Work on them individually for some time before the actual vacation, then combine them into a bigger one once the time to actually pack the items comes. The benefit of this is obvious – there are many things that both of you might forget, and if you’re each working on a separate list, the chances of the family not bringing something important are much lower. Once you start packing, the mutual input will be invaluable. These days, there are lots of ways you can make packing with family for a vacation much easier. Naturally, you’ll just need to do some lite research and find some of the handy equipment available to you. For example – packing cubes are a very handy addition to your luggage. These are smaller elastic bags, which you can fit into your luggage. Use these to divide your luggage into easily accessible categories. That way, all of your things won’t get jumbled together during the trip and you’ll have an easier time unpacking in your hotel rooms. Naturally, the specific categories you’ll divide your things into are a matter of personal choice. But if you want our advice – it’s very useful to divide things per day of vacation, rather than per person. While your first instinct may be to just assign a packing cube to every family member, going by day is actually far more practical. Sure, it’ll take more planning before the vacation itself. But you’ll find that it saves a lot more of your time once you’re actually there. You just pull out the things everyone will need out of the appropriate packing cube in the morning – and you’re good to go! 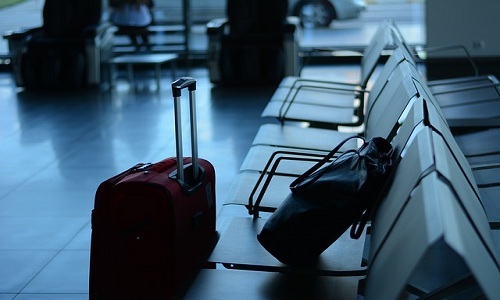 Don’t forget one important fact – the things you’ll end up packing with family for a vacation will largely depend on your destination of choice. Let’s face it – packing for a trip to Disney World isn’t the same as if you are considering moving overseas to Japan. Speaking of which – make sure you’re conservative with your packing. Even if you’re going on an extended vacation for a couple of weeks, don’t bring your entire household with you. Make sure you bring the essentials with you, and things that would be expensive to buy once you’re there. For example – if your family is keen on beach vacations, there are a few smaller things that people usually forget. Aside from the obvious stuff like swimwear and beach toiletries, don’t forget a few dry bags for the beach – you’ll want a place where you can put your phone or your money. Or if you’re going on a ski trip and bringing your own equipment, you’ll need an entirely separate list for that, so you don’t forget anything and have to spend additional money at the resort. 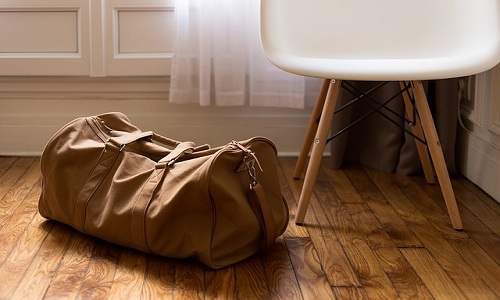 Lastly – while packing with family for a vacation means tailoring your suitcase to a specific destination, there are also some essentials that are crucial no matter where you’re going. First of all, consider if there’s any specific medicine any of your family members take on a daily basis. Also, make sure you have some extra cash on hand, for emergencies. Sure, these days most places accept credit cards, but you can never know where you might end up during the vacation. Don’t rely on every establishment accepting credit and debit cards!